I've been wondering what my fascination is with making things. I love being creative in lots of different ways - writing, song-writing, poetry, brewing, making music, podcasting, growing things on out allotment and making items in my workshop. It definitely runs in our family - my dad is extremely practical and very capable at making things, and his dad was as well. 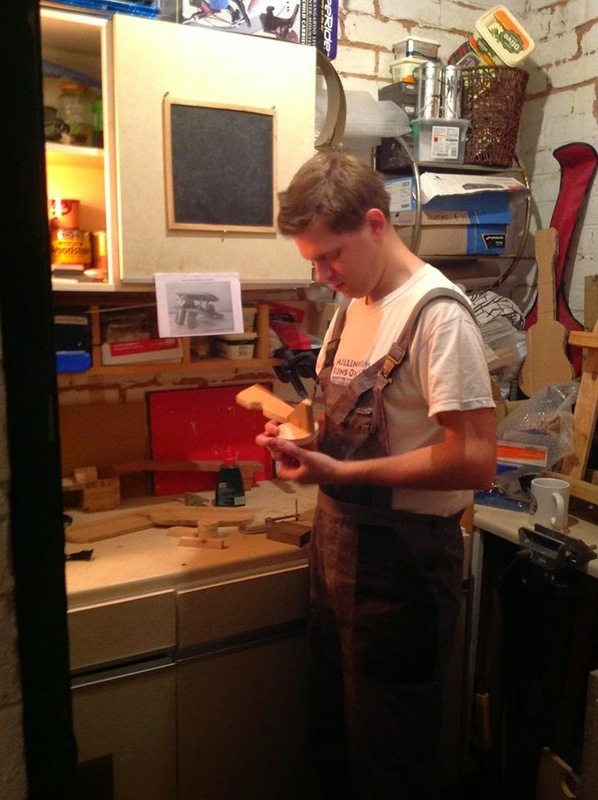 "I love being creative in lots of different ways "
I have many fond memories of my dad in his workshop, and am the proud owner of numerous items he's made for me over the years - often beautiful and practical wooden tools (RUP's - really useful presents - a saying we have in our family!). Some of my most precious things are the pieces of furniture we've made together such as a fine set of freestanding oak bookshelves we made between Christmas and New Year one time. The oak itself that we used had a unique history too - back in 1987 after the great storm in that October my dad got a licence from the local council to saw up some of the oak trees in nearby Esher Woods that had blown over in the winds. With the largest non-commercial chainsaw you can buy (I think it had a 6ft sawing blade), he painstakingly sawed them into planks and then seasoned the wood in long woodstacks at the end of our garden (and a few other people's gardens as well!). It takes over seven years for oak to season, but the long and the short of it is that we have a large stock of 'family' wood for furniture making, the outputs of which proudly fill the homes of my siblings and I. 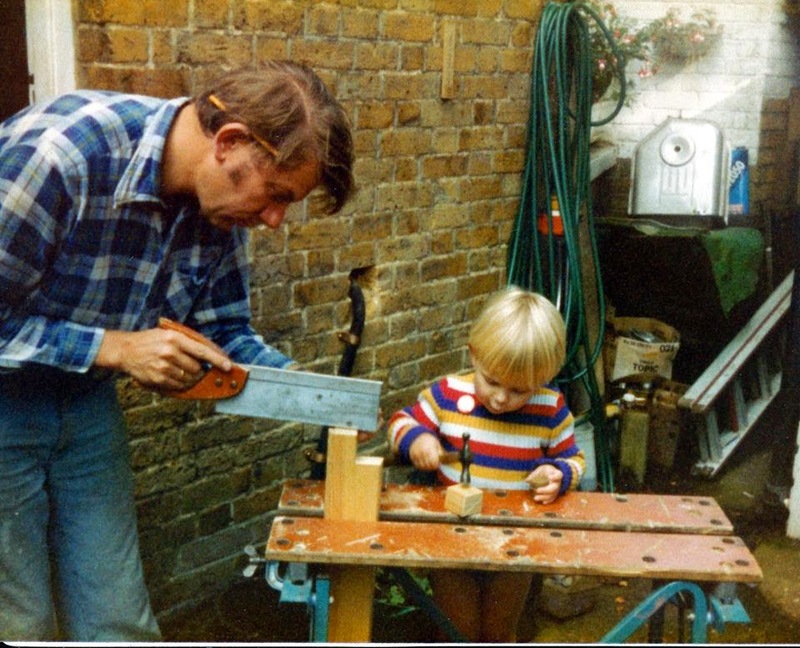 "...as a western society we seem so obsessed and reliant on technology..."
So, on one level my need and desire to make things and be practical is I'm sure partly to honour my dad, and an attempt to live up to his legacy. In another sense, as a western society we seem so obsessed and reliant on technology, things seem so disposable and we want everything now now now. In this context, the art of making things by hand and taking the time and patience to even learn the skills to be able to do this is a reaction against this cult of the instantaneous, a form of practical defiance against the 'I want it now', click of a button culture we experience all around us. Taking the time to make things, often quite a slow process when being fitted around other commitments, is a deliberate defiance of this particular underlying Zeitgeist. If you believe the doom-mongers around, then I suppose it's also a form of insurance should the worst ever happen, technology fails, and we all have to live life without many of the things we've become reliant on. In the event of financial and geopolitical meltdown, having practical skills (and tools) becomes much more important! I take great satisfaction in being able to say 'I made that! ', and it's nice to be able to make lasting items and gifts for my family and friends. For the thrifty person inside me, making things - for instance Christmas presents - seems like a better investment. Usually the raw materials are cheaper than buying unwanted, disposable, shop bought items, but also the time and energy I expend over Autumn and Winter evenings is a conscious choice. "I take great satisfaction in being able to say 'I made that!'" It's a statement of how much my family mean to me that I'm willing to spend that time for them. In a culture where time is money, deliberately choosing to devote time to something gives that something a high value. At the moment my favourite material is wood. I like that its a renewable, natural material. I like the smell and the way it handles. I always have a number of projects on the go - in fact I generally have far more ideas for things to make than time to make them all! My most complex and long term project is an acoustic guitar that I'm building. It's taking me some time, as it's an incredibly precise item to build, and I'm learning the skills I need as I go along. 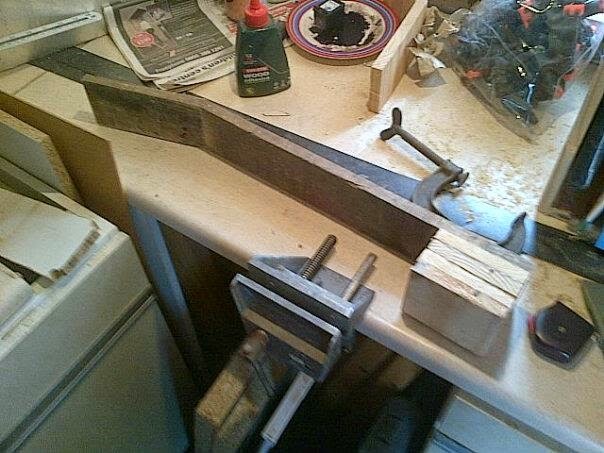 I consider myself still only a very passable carpenter, let along a decent joiner or master luthier! But I am very much enjoying the process, and happily permit myself to be distracted by other interesting woodworking projects and gifts, as these are all developing my woodworking skills, as well as my patience and portfolio. "I generally have far more ideas for things to make than time to make them all!" 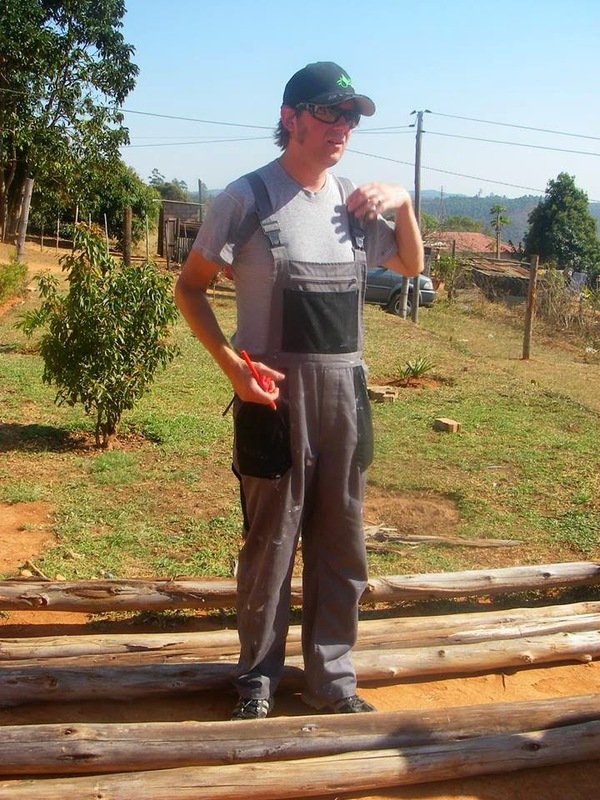 After I finished my civil engineering degree (something which sounds like it should make you practical, but was in fact very theoretical), I spent some time travelling before I started work. In Canada I met a friend of a friend who was a luthier in his spare time. I was inspired by his workshop and off the back of this I bought the "bible" of guitar making he recommended.. which ended up sitting and mocking me on my oak bookshelves while time passed and I hadn't started making a guitar. As I approached my tenth "work" anniversary, I had an epiphany of sorts. I realised that life was slipping by and that I needed to start a number of things which had been on my long-term "to-do" list without expecting conditions to be perfect. I also had to let go my perfectionist leanings and embrace the mistakes and my amateurishness. In short, I had to get over myself and make some space to make things. Making space in our busy lives is a huge other subject which I cover in my book Life Space, but to cut a long story short over the last few years I have literally made a space to make things - a small, chilly but wonderful workshop (a pale shadow compared to my dad's, but you have to start somewhere! 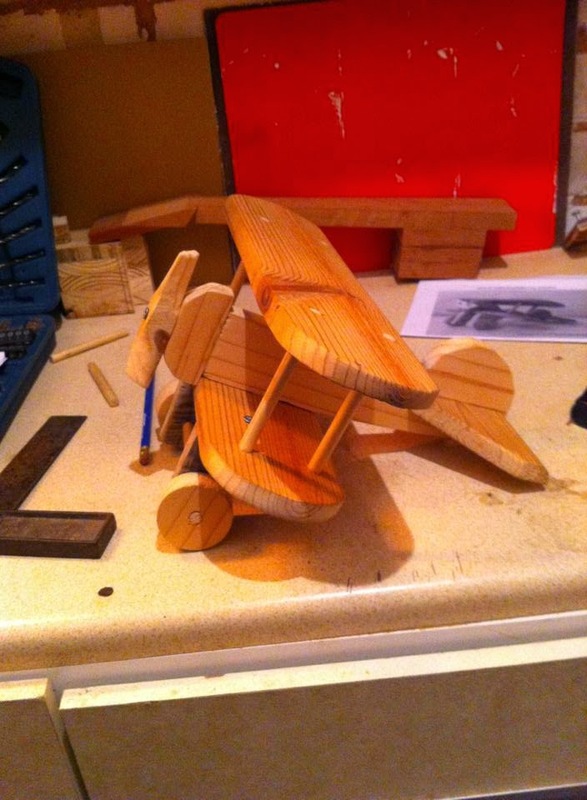 ), and have rejoiced in making all number of things.. some more successful than others, but each one an act and expression of creativity, patience and an opportunity to hone my meagre woodworking skills further. I'm ok that my creations are sometimes a bit wonky, yes I know my dad could make them a hundred times better, but that's ok - for me, for now, the journey is more important than the destination. "I had to get over myself and make some space to make things"
I'd like to do more metalwork. I think that will come in time. I'd like my children to catch the making bug. I'd like them to spend time with me in my workshop, and with my dad in his workshop. There are lots of things (some would say too many) that I'd like to make, however perfect or imperfect. A day will come when I've even finished making my guitar! But I think the fascination with making things is bigger than the finished article, much more about the process, and no small part of what makes me "me". 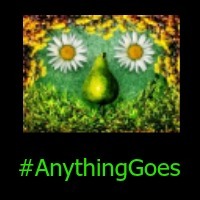 Thanks for taking the time to read my Musings on Making Things! If you've enjoyed it why not share it with your friends on social media? Why not subscribe to The Potting Shed Podcast on iTunes for the audio version and much more (direct RSS feed is here). I would love to be able to do something practical like this, but I think the limit of my abilities lie in putting a flat pack together! It's fantastic that people are still taking the time to craft beautiful furniture and items with meaning. Very interesting post!